As the rest of the world eats denutrified, poisoned ‘food’ and capitulates to the criminal cartel of US agribusiness, as India destroys its soils with petrochemical-monocrop agriculture and looks to GMOs, as corrupt governments and regulatory bodies do the bidding of Monsanto, Russia is committed to not selling out the health of millions, the fertility of the land or the food security of the nation to a handful of criminals in the West who have destroyed indigenous agriculture across the planet. Russia is already developing a strategy to build up its domestic food production and is in a good position given its extremely fertile soils. The government has already banned the import and planting of GM food and crops, and, according to Willian Engdahl, the language on Russian media news sites that punishment for knowingly introducing GMO crops into Russia illegally should have a punishment comparable to that given to terrorists for knowingly hurting people. The other good news is that on the same day that Putin made his statement, the Organic Consumers Association (OCA), IFOAM International Organics, Navdanya, Regeneration International (RI) and Millions Against Monsanto, joined by dozens of global food, farming and environmental justice groups, announced that they would be putting Monsanto on trial for crimes against nature and humanity, and ecocide, in The Hague, the Netherlands, next year on World Food Day, October 16, 2016. For many decades, Monsanto has developed a steady stream of highly toxic products which have permanently damaged the environment and caused illness or death for thousands of people. It has indulged in numerous acts of criminality, cover ups and duplicitous practices over the decades. 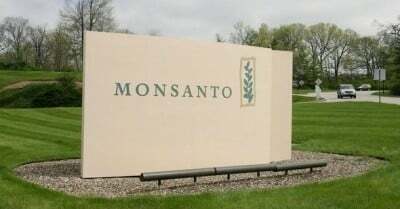 Relying on the “Guiding Principles on Business and Human Rights” adopted by the UN in 2011, an international court of lawyers and judges will assess the potential criminal liability of Monsanto for damages inflicted on human health and the environment. The court will also rely on the Rome Statute that created the International Criminal Court in The Hague in 2002, and it will consider whether to reform international criminal law to include crimes against the environment, or ecocide, as a prosecutable criminal offense. The International Criminal Court, established in 2002 in The Hague, has determined that prosecuting ecocide as a criminal offence is the only way to guarantee the rights of humans to a healthy environment and the right of nature to be protected.